We love Bonfire Night, it's a great chance to bundle up warm and bring the kids out when it's dark to watch the fireworks and stand by a bonfire. Of course we like to extend the fun for a few days with some firework and bonfire themed crafts and activities, here's a few things that we've done in previous years. Firework Pictures are a classic activity for Bonfire Night, we love to get out the black paper and find different ways of drawing fireworks on it. 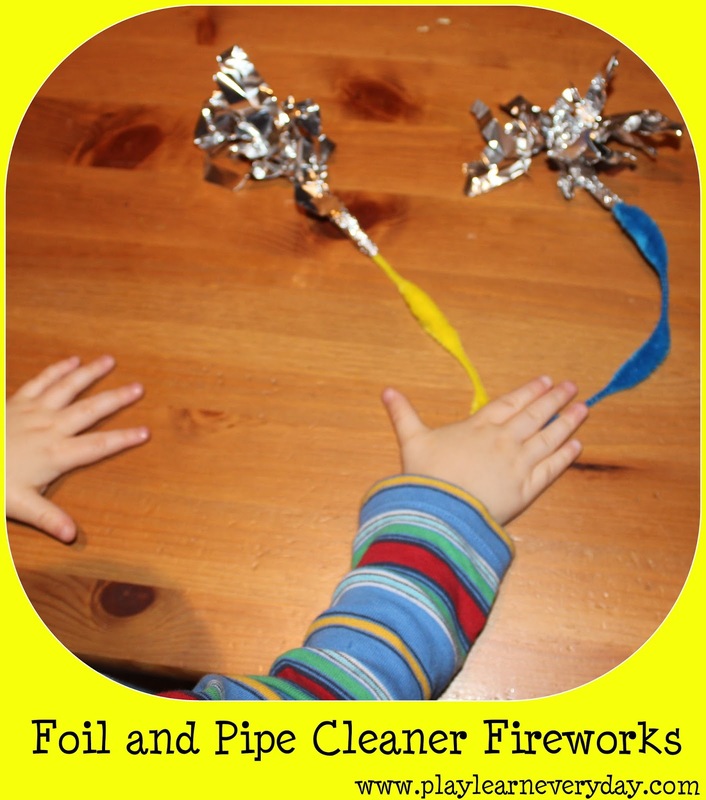 We also loved these simple Foil and Pipe Cleaner Fireworks that we made a few years ago as they were really fun to wave around. 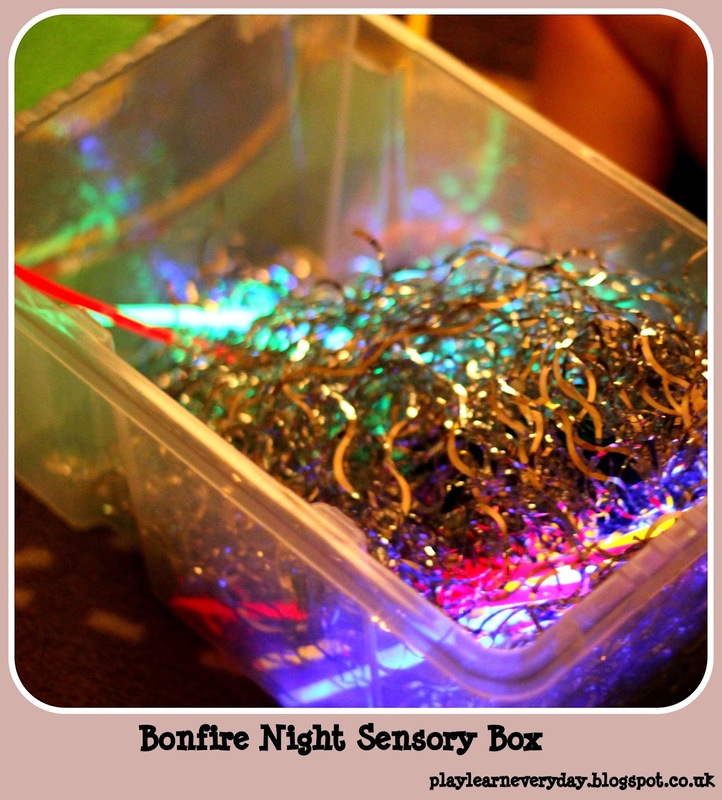 These Glowing Firework Rockets that we made last year were a huge hit, Ethan and Ivy love anything that glows and being able to throw these around was a lot of fun! Bonfire Night is the perfect excuse for any sort of Glow Stick Play which my two absolutely love, they're just mesmerised by the glowing lights and they're much safer than playing with sparklers. Ethan absolutely loved this Bonfire Night Sensory Box that I made him when he was a baby, so I'll definitely be making one for Ivy this year as well. We like to read Bonfire Night books like Wheel of Fire that teaches about firework safety and I think we might get this Hovis the Hedgehog one this year, it looks really sweet. 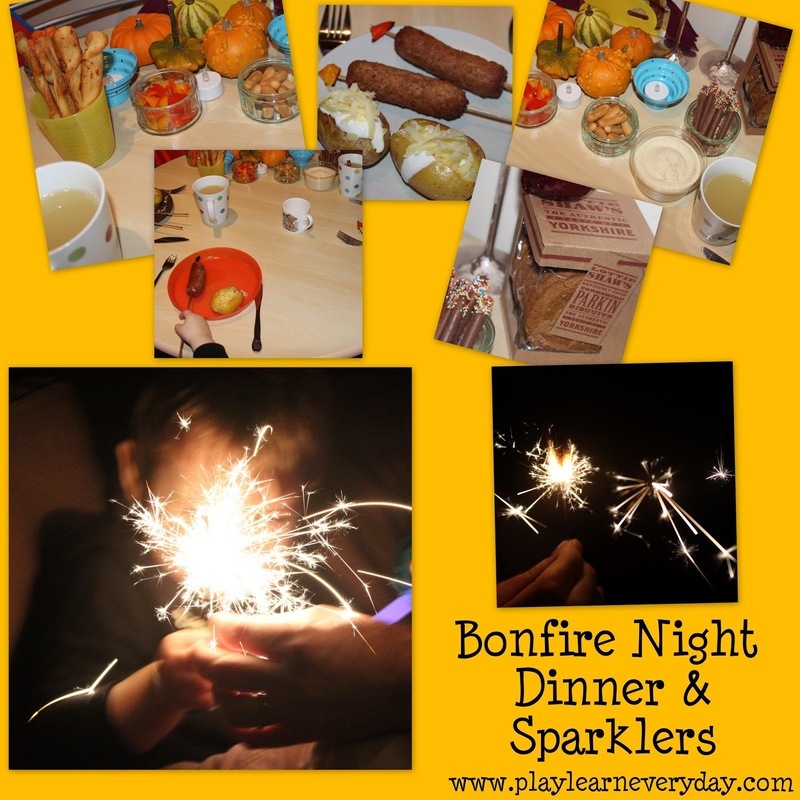 We made a whole Bonfire Night feast of different themed foods a few years ago which was a lot of fun! 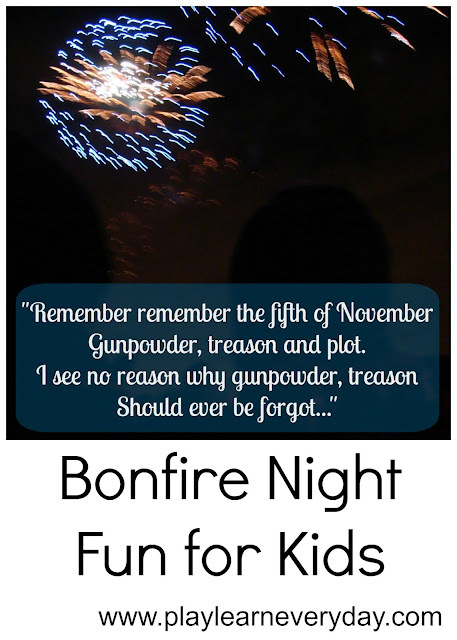 And if you are thinking of taking your little one out to their first big fireworks show, here are our Firework Tips for kids. We LOVE firework crafts. There is something about colourfulness and glitter at this time of year that makes me smile!